Self-made man Aidan Iverson has seen more closed doors in his thirty years than he’s ever cared to count. As a member of the elite Duke’s Den, he has all the money he could possibly need but the one thing he can’t purchase is true power. If roguish Aidan can’t buy his way into society’s hallowed halls, he’ll resort to a more extreme measure: marriage. Brought up to be a proper lady, the only thing Diana Ashby desires is to be left alone to the creation of her own devices. But when her dreams are crushed, she must find another way to secure the future of her invention. 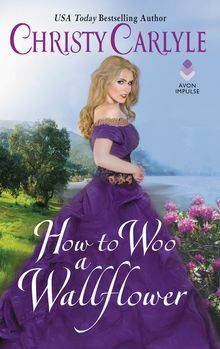 Knowing his desire to enter her world, Diana strikes a deal to arrange Aidan’s marriage to the perfect lady—as long as that lady isn’t her. She doesn’t need any distractions from her work, particularly of the sinfully handsome variety. 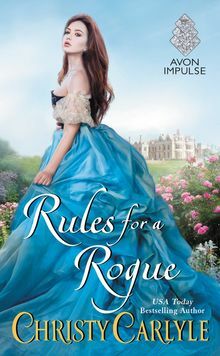 As Diana and Aidan set out to find him an aristocratic match, neither are prepared for the passion that ignites between them or the love they can’t ignore. In the Duke’s Den, can happiness ever be a winning prospect?